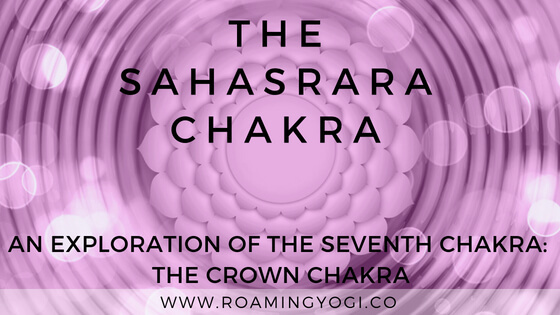 We have reached the last stop on our chakra journey – the crown chakra. Also known as the sahasrara chakra, this is the seventh chakra in the chakra system. If you’ve missed the first six chakras, be sure to check those out! The Sanskrit word sahasrara means ‘thousand-petaled’. This chakra represents the energy of pure consciousness. It is the physical home of our enlightenment. If you think about holding two magnets close to each other, you can feel the energy and tension between them, but you can’t see it. Consciousness energy is like that – it’s everywhere, in everything, and it connects us to the entire universe. The place where we tap into that consciousness energy is at the crown chakra. This chakra is where our own personal consciousness resides. This personal consciousness is a seed of that universal energy. The crown chakra represents the “aha” moments in life – those lightbulb moments. 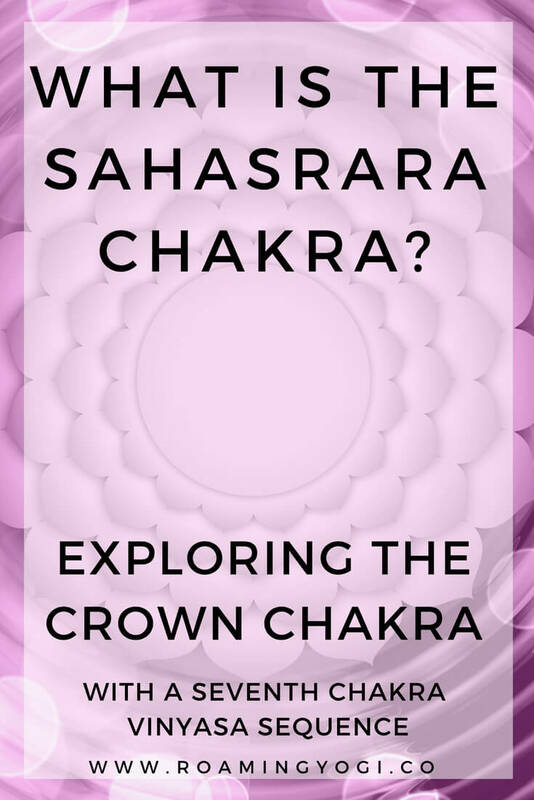 The sahasrara chakra is located at the crown of the head and extends infinitely upward and outward, connecting you to the energy of the rest of the universe. I like to think of it as a gateway to the universe, connecting us to a higher power (whatever that higher power may be for you). It is the meeting point between the finite (the body and the ego) and the infinite (the universe and soul). There is no element for the crown chakra, as pure consciousness transcends all worldly elements. It is not possible to have an overactive crown chakra. Because the sahasrara is the seat of universal energy, it is inherently infinite. If you were to be overcome with consciousness energy, then you wouldn’t exist in the physical world; you would have transcended to the spiritual world. In other words, you can’t exist physically here on earth and experience an overactive seventh chakra at the same time. Everyone has an underactive crown chakra because an underactive crown chakra means you’re human. This manifests as a human experience. With feelings and emotions; thoughts and ego and doubts. Moments of joy and moments of sadness; unconditional love and indescribable anger. Some people are more tapped into their crown chakra, while others are more disconnected from it. Working on spiritual development and balancing the other chakras will bring you closer to experiencing the consciousness energy at your sahasrara chakra. Can We Find Balance in the Sahasrara? A balanced crown chakra is the goal of every yogi and spiritual warrior; it’s enlightenment. It’s not easy, and if I’m really honest, probably not attainable for you and me in this lifetime. Once a balanced sahasrara chakra is achieved, you’re not really human anymore; you’ve transcended life and death. But achieving a balanced seventh chakra is not really the point. The journey of attempting to achieve this balance is what brings us happiness, health, and wisdom. 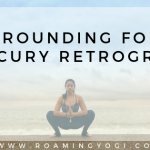 The best thing we can do to stay on this journey, and to attempt to open up and activate the crown chakra, is to work on balancing all of the other chakras. Practice meditation and connecting with your (capital S) Self; with spirit. Take the time to look inward. 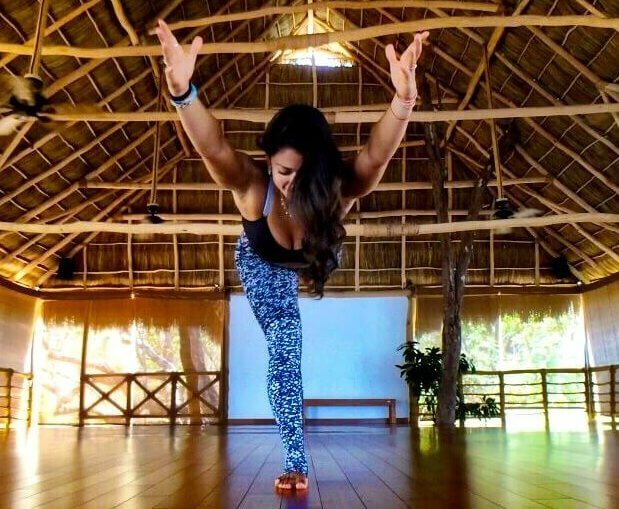 Balance these activities with living and enjoying your human experience. 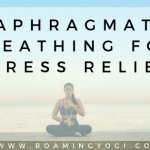 It’s like training for a marathon. You don’t just run a marathon and expect to complete it. You have to train your body and mind first, working day by day on the small, attainable goals. Opening the crown chakra is the same. Focus on maintaining and balancing all the other energies in your body, and this will prepare you for opening the seventh chakra. Like in the ajna chakra practice, I invite you to close your eyes as much as feels comfortable for this crown chakra practice. Take the attention inward and connect with your spirit, and remember that your spirit is a spark of the universe. Here’s the sequence for you to try at home. As always, if you’d like a downloadable pdf of this sequence, you can grab one below! And if you’re a more visual person, you can scroll down to the video below to practice this class with me!